Blissology: What's in Your Shower Right Now? What's in Your Shower Right Now? That's the most recent question a reader has asked me. Normally I'm not one to invite just anyone into my shower, but in this case, I'm happy to show and tell! Now, I just recently moved so my shower stock is very small compared to what it was a few months ago before the move. So this is going to be a short list! First, I have a big bar of Dragon's Blood by Blissology. I was a little unsure when I chose that one a couple months ago because it was still very much summertime and I'm one of those people that just must match my scents to the season. So even though it wasn't a "Dragon's Blood" sort of day when I chose it, it is now! The rich, sweet, spicy, and smoooooth notes of it really make it a fall and winter kind of soap for me. Of course, my sister and dad will gladly use it all year long regardless of the weather. You won't find any bottles of shampoo or conditioner (or anything!) in my shower. 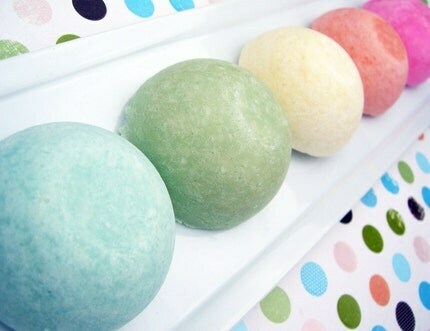 We use shampoo and conditioner bars made by Get Lathered! on etsy. Some of you have no doubt heard me talk about how awesome they are. My hair and scalp are so much healthier and feel so much better since I started using these about a year and a half ago. Right now for shampoo I have just a sliver left of my favorite Vanille de Framboise and a new bar of the Willow scented shampoo. My husband is using Nor'Easter which I love too. And I have a Thai Coconut conditioner bar that has lasted me for months and months now. 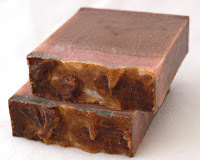 For my face, I use our Au Natural soap made with goat milk and oatmeal. It's unscented, super creamy, and very mild. Store-bought facial cleansers completely wreck my complexion. They're just too harsh for my sensitive face and cause me to break out. I also used this soap exclusively when the baby was first born so she wouldn't be overwhelmed with extra smells. Now I use it on her too but I use a washcloth to apply it to her skin because she doesn't need the extra exfoliation from the oatmeal. My husband has another soap bar for his face. It's a really old Christmas soap my mom made years ago for her soap business (Anyone remember Mountain Homestead Soaps?). As soap ages it becomes more and more mild. Often after several years the oils in soaps will start to go rancid, but not with this one! It still smells, albeit more lightly than when first made, and my husband has found that it makes a superb shaving soap! Since he's been using it, his face is smoother after his shave with much less irritation and bumps. I don't have a picture of this one since it's not for sale. That's it! I'm sure in a few months I'll have twice as many soaps. Now I want to know - What's in Your Shower Right Now? 4 Responses to "What's in Your Shower Right Now?" I'm so pleased that you like my bars! I have 4 or 5 shampoos and conditioners in my shower right now (research & development),and 10 or 12 soaps. Things are WAAAAY out of hand over here! Very Blissed - Mom, we need to get pictures of that soap and get it online! Nothing like shampoo bars! Not only are they more economical but they store well & seem to last longer. 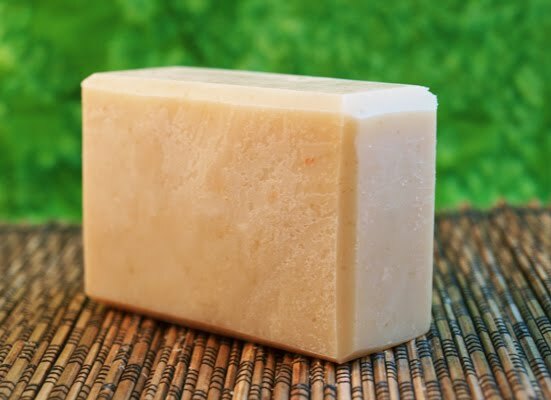 Goat milk soap is great for the skin. I even bought some goat milk lotion & just love the stuff. I still use shea butter some days, but other days it's the unscented goat milk lotion.